This is a Mass Effect Andromeda Characters article on Nakmor Drack. Here you’ll find information about a character found in Mass Effect Andromeda. For more Mass Effect Andromeda content, head over to our Andromeda top page. Nakmor Drack joined his clan to find a new home in the Andromeda Galaxy. Over 1,400 years old, he has a penchant for shooting many, many things. 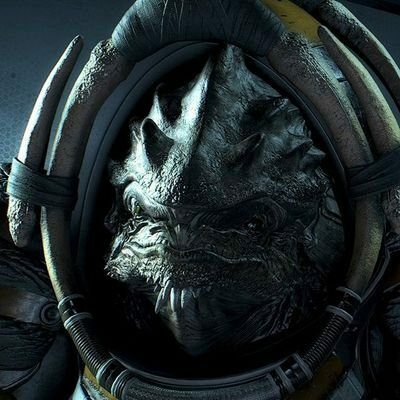 As verified by Nexus records and his own claims, krogan mercenary Nakmor Drack is among the oldest beings to join the Andromeda Initiative. He originally traveled on the Nexus along with many other members of Clan Nakmor, but left after the Nexus uprising. 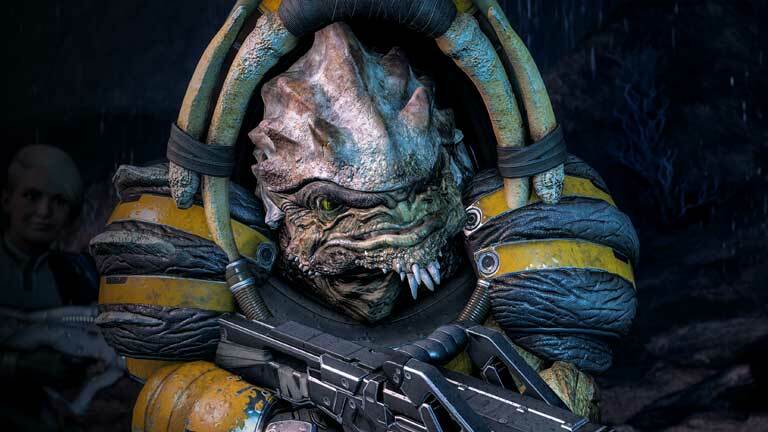 Born on Tuchanka around 700 CE, Drack was a young warrior when the Krogan Rebellions began in earnest. He and his krantt accounted for over two hundred kills, which Drack claims, includes three of the then-newly founded Council Spectres. After the salarian-designed genophage ended the Rebellions, various bounties and military bulletins show Drack chose a new path as a pirate and soldier of fortune for whatever conflicts came his way. Over centuries of fighting, multiple injuries required several of his limbs and organs to be replaced with cybernetics. Eventually, Drack says, his search for one last horizon brought him to Andromeda. Drack did not travel alone. He accompanied most of his clan to Andromeda, including granddaughter Nakmor Kesh and clan leader Nakmor Morda. Kesh and Drack maintain a close relationship, exchanging regular messages, no matter where their duties in Heleus take them. Drack’s favorite weapon is the Ruzad Shotgun, a Krogan-designed scattergun that causes devastating amounts of damage at close range. Complementing Drack’s penchant for close-range damage is his ability, Blood Rage. Drack becomes an enraged tidal wave of death and destruction. Blood rage causes his rate of damage, damage reduction, and health regeneration to increase.